• Ride the DART Rail Green Line to Fair Park Station or MLK, Jr. Station for the North Texas Irish Festival. The festival is recognized as one of the premier locations for true Irish and Celtic performers and over the past 30 years has hosted some of the greatest of all Celtic musicians. Expect great music, dance, exhibitors, workshops, plays and demonstrations. There’s even a colorful Scottish Village for those who trace their Gaelic roots to the other side of the Irish Sea. An annual parade features horses, pipers, clans, vendors, dogs, you name it. 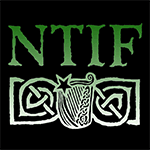 Information: www.ntif.org. • Ride the DART Rail Red Line or Blue Line to Convention Center Station for Walker Stalker Con at the Kay Bailey Hutchison Convention Center, 650 S. Griffin. Zombies and Horror infect Dallas with your favorite stars from your favorite zombie, horror and sci-fi hits. It’s not just a convention. It’s a fan meet-up and an opportunity for each guest to come away feeling like they’ve had an amazing experience and became part of a greater community of zombie lovers! Walker Stalker Con is two days of events, panels, and experiences that zombie fans won’t find anywhere else and filled with celebrities, artists, vendors and activities for the whole family. Information: walkerstalkercon.com/dallas. Find more events like the Latino Quinceañera & Bridal Expo or America’s Got Talent auditions on our Rider Insider Online Calendar or in the brochures found on DART light rail vehicles or buses.